"There's a wind of change about this Windies side. They've really stamped their mark on this series. It might just give them the confidence to move forward and climb those rankings." 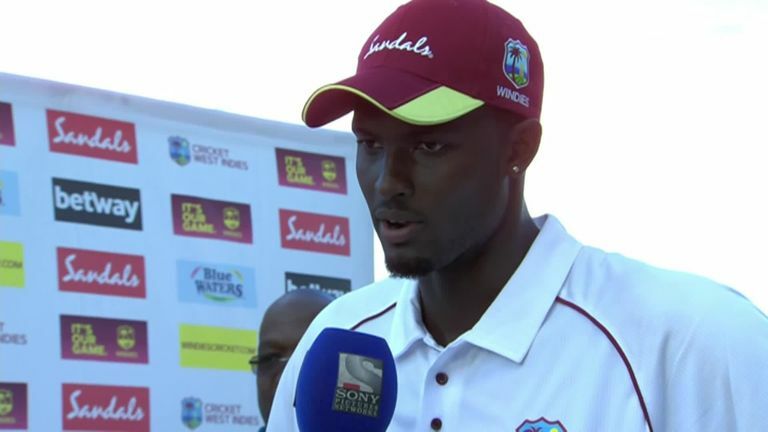 So said Bob Willis after Jason Holder's men shredded England inside three days to take an unassailable 2-0 lead. 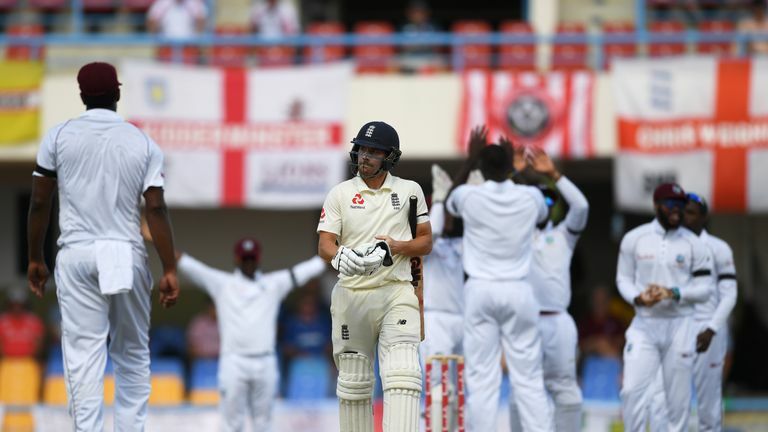 The hosts batted with the application England sorely lacked - Darren Bravo the prime example as he dug in for the slowest Test fifty by a West Indian and third-slowest in terms of time in the history of Test cricket - while Holder's men had extra fizz with the ball. Kemar Roach's four-second innings scalps taking him onto 13 in two games at an average of 12. Spearheading Windies' resurgence, though, is skipper Holder, not just with the bat, with which he scored an unbeaten 202 in Barbados to propel his men to a 381-run victory, and not just with the ball, with which he bagged four England wickets on day three in Antigua. Nope, Holder has been the full package in this series, using DRS superbly, too - note Joe Root and Ben Foakes' second-innings dismissals - and galvanising a side that was heavily beaten on turning wickets in India and Bangladesh prior to Christmas. 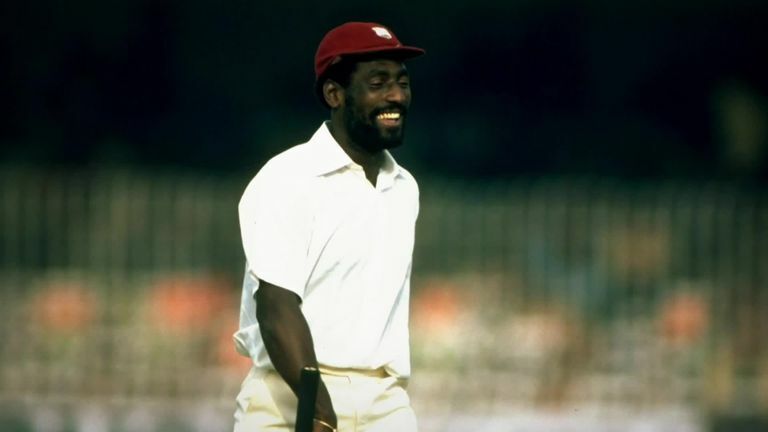 Such is the effect he has had, David Lloyd even said he reminds him of Clive Lloyd. Praise indeed. It's just a shame he'll now miss the third Test for an over-rate offence. England's batting frailties may have helped Windies look better than they are but with Holder leading from the front, a fine mix of dashing and doughty batsmen and a potent pace attack, Windies may not be languishing at No 8 in the Test rankings for too long. Windies would not have needed much galvanising on Saturday morning - not only were they in a strong position in the Test but united by the sad passing of seamer Alzarri Joseph's mother, Sharon. "We wanted to win for her," Holder said at the post-match presentation before later adding that Windies had dedicated the day to Joseph, his mother and his family. Really nice gesture from England to wear black arm bands in memory of Alzari Joseph’s mom. They then applauded him to the crease. It shows a Terrific humane side to in the heat of competition. Holder also described Joseph as "exceptional" as he took to the field and put in a superb bowling display, the youngster claiming the wickets of Root and England debutant Joe Denly and then taking a fine diving catch off Holder to remove James Anderson. "I know he wanted to do something special for his mum. He held his hand up high and did an exceptional job in helping us clinch the game," added Holder. Root fell to Joseph twice in the game, caught behind off the glove second time around having departed to an absolute snorter in the first innings as the paceman got a ball to rise sharply off the spicy surface, take the bat handle and fly towards the slips. Joseph rose to prominence during the 2016 U19 World Cup, bagging 13 wickets as Windies won the title for the first time. Yet, his recent career had been stalled by a stress fracture of the back - a plight that befalls so many fast bowlers - meaning he did not play a Test between the day-night game against England at Edgbaston in 2017 and the opening game of this series. At just 22, the wiry quick should have many more days fronting Holder's bowling attack - but probably none as emotional as this past Saturday on his home island. 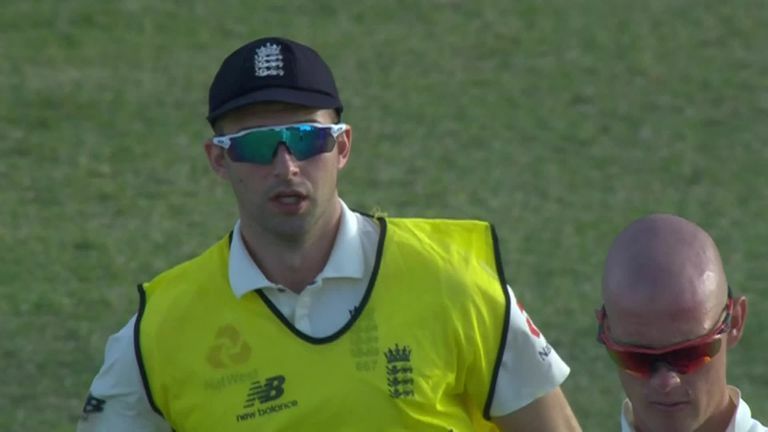 "Under huge amounts of stress, and under difficult emotions, fair play to him," said Root, whose side had joined Windies in wearing black armbands as a tribute to Joseph's late mother. Jonny Bairstow has been bowled nine times in his last 18 innings and 29 times in his Test career. No one has been bowled more times in Tests since 2012. Yes, Joseph's first-innings delivery to Root was virtually unplayable and, yes, this Antigua pitch was very difficult, leaving Paul Collingwood, during his stint as a Sky Sports pundit, to wonder whether it was right for Test cricket. But Windies found a way to eke out runs. England did not. Bravo battled, wearing a nasty blow from Stuart Broad after Kraigg Brathwaite, John Campbell and Shai Hope had taken their side to 131-1. Top-order returns that England could not match - the tourists sinking to 93-6 in their 187 and then 96-6 in their 132. Bravo's 216-ball knock was only 37 balls fewer than the whole of England's second innings. Root's side failed to pass 200 in Antigua, have not passed 250 in the series, did not pass 350 in Sri Lanka and only passed 400 once in seven Tests at home to India and Pakistan last summer. Sky Sports Cricket's Nasser Hussain is pretty adamant on the reasons why. "There is a real problem in county cricket, where there is no real depth of top-quality, top-order batsmen. The red-ball game is being played predominantly in April and May, and then right at the end of the summer, on spicy pitches with a Dukes ball. Why would you want to move up to three in county cricket when it's moving around?" 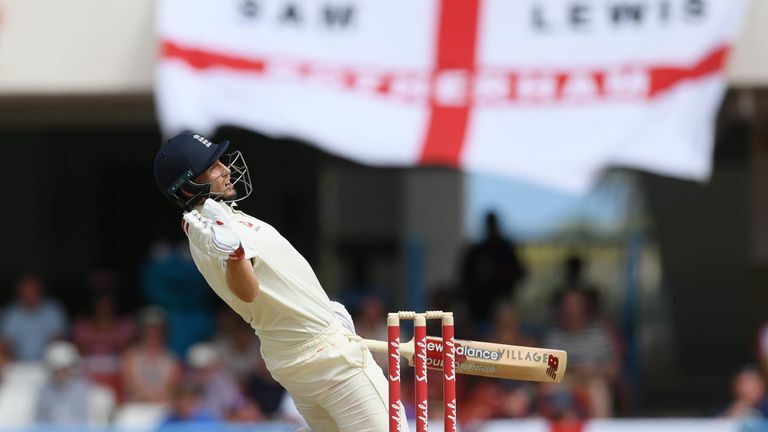 Willis added: "You can't just go out and play shots in a Test match and the problem with this England side is that with so many all-rounders they all play in the same way. Only Root in this line-up looks like he has any sort of defensive technique at all - and he's a man who is out of nick." Of course, England are no strangers to being on the end of epic Windies performances in Antigua, principally Brian Lara's scores of 375 and 400 in 1994 and 2004 respectively and Sir Vivian Richards' 56-ball century against them in 1986 - that remaining the fastest Test hundred, jointly with Misbah-ul-Haq's for Pakistan against Australia from 2014, until is was trumped by Brendon McCullum's 54-ball effort against Australia in 2016. Windies now play their Antigua Tests at a ground bearing Richards' name, and Nas and Athers also gave us a tour of that stadium, including the statue of the Master Blaster. Viv was then in attendance all week to see the Windies' current crop drum England once again. The Sir Vivian Richards Stadium has been a happy hunting ground for Windies over the last year or so, with their 10-wicket win over England following an innings and 219-run thrashing of Bangladesh last June, in which Roach claimed 5-8 in five overs as the Tigers were rolled for 43. The seamer has now taken 25 wickets in four matches at the place. 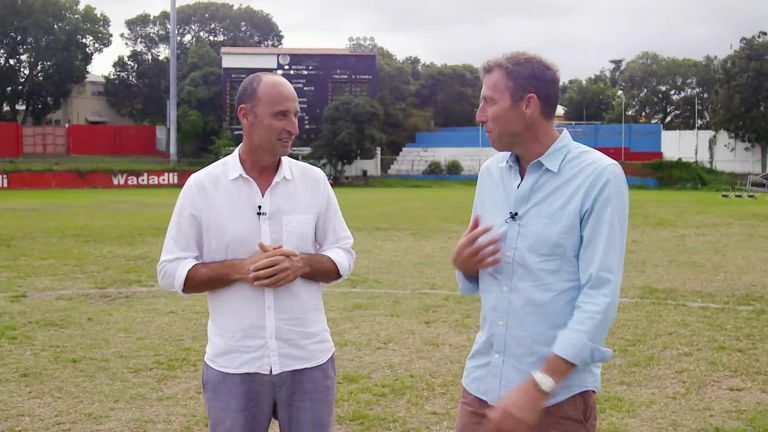 Mike Atherton and Nasser Hussain take you round the Sir Vivian Richards Stadium, including the statue of the Master Blaster! You have to feel for Stuart Broad a bit. Left out in Barbados before England tumbled to a heavy defeat, he was recalled in Antigua and enjoyed next to no luck as catches went down off his bowling, DRS reviews went the way of opposition batsmen and a plethora of deliveries beat the outside edge. The 32-year-old still managed to pick up three wickets in the Test, though, all of them coming during a scintillating spell on day two when he found Hope's bat with a fine leg cutter and then, two balls later, clattered Roston Chase's off stump with a delivery that shot through low, before later getting a ball to zoom off the surface, ping Shane Dowrich's glove and balloon to slip-fielder Buttler, who atoned for an earlier blunder. 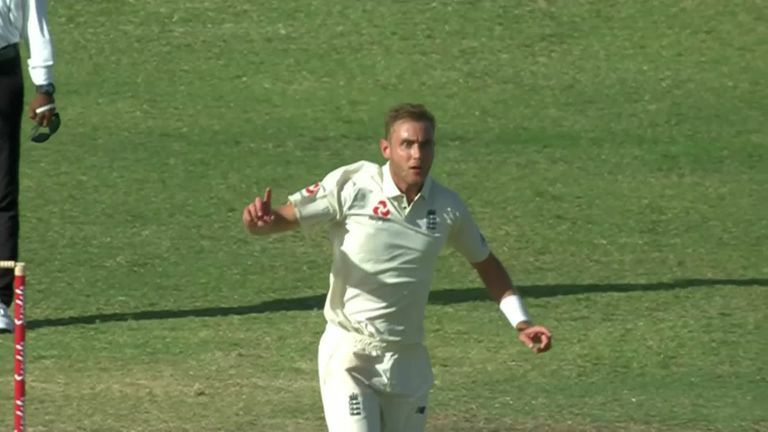 The spell didn't turn into an 8-15 against Australia or 6-17 against South Africa but the fact you thought it might show there is plenty of life left in Broad, who has made subtle tweaks to his wrist position and run-up since a chastening Ashes tour a few winters back. That bodes well for this summer's Ashes, which Broad should be fresh for what with not having ODI commitments with England to worry about anymore. Australia, who saw Broad bag 21 wickets at 20.90 against them in the 2015 series, will be concerned. But they will be far less concerned by England's batting, with runs at a premium and debate still raging over personnel, position and approach. 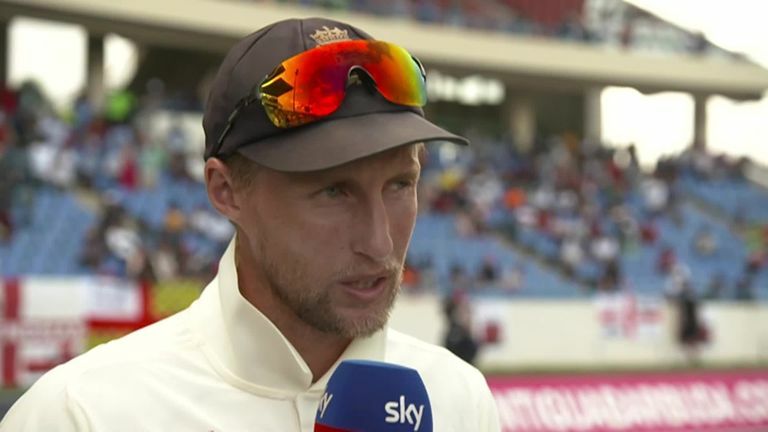 Root says the dead-rubber St Lucia Test gives England "a great chance to put a performance in." Boy, do they need one. Watch the third Test between Windies and England live on Sky Sports Cricket from 1.30pm on Saturday. PODCAST: So why can't England bat? You can watch the Ashes live on Sky Sports Cricket from August 1 when the first Test gets underway at Edgbaston.